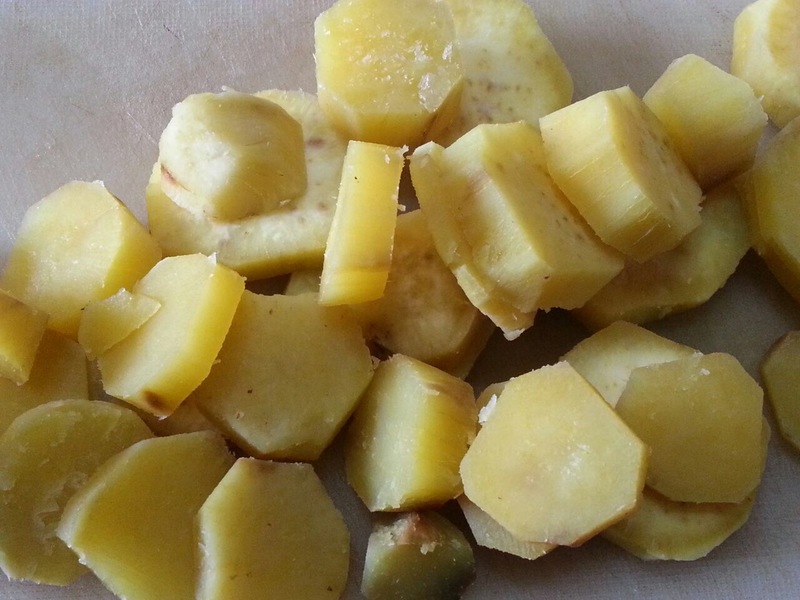 I have very less memories of Sarkkarai Valli Kizhangu or Cheeni Kizhangu – Sweet Potato as a vegetable. 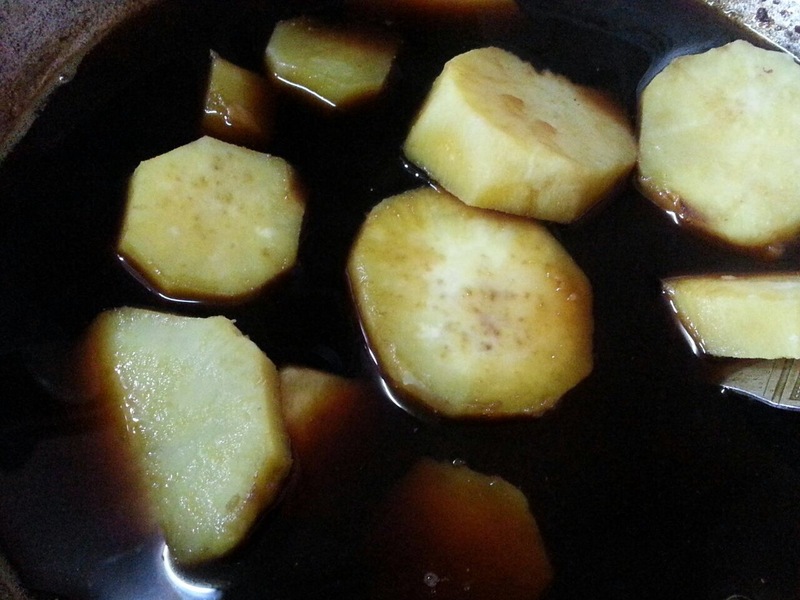 But I have evergreen memories of sweet potatoes floating in a tub of Palm syrup in Thoothukudi, my maternal grandmother’s house. The big chatti or hot vessel filled with sweet aromatic Palm jaggery syrup and the floating sweet potatoes inside was one of my favorites. Of course, still is. 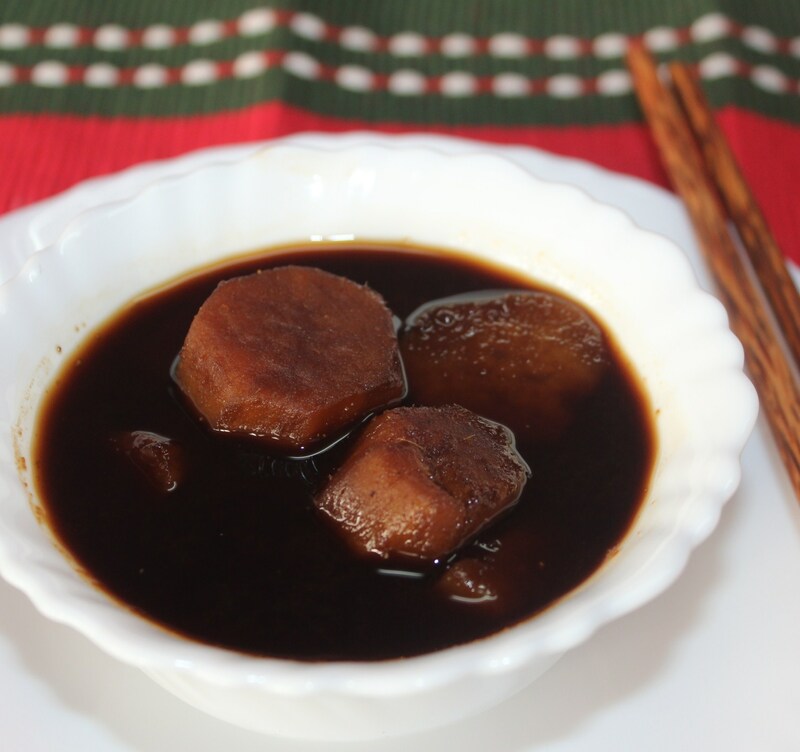 Mildly spiced with dry ginger for balance and added digestion, this delicacy can be had hot, warm or cold. 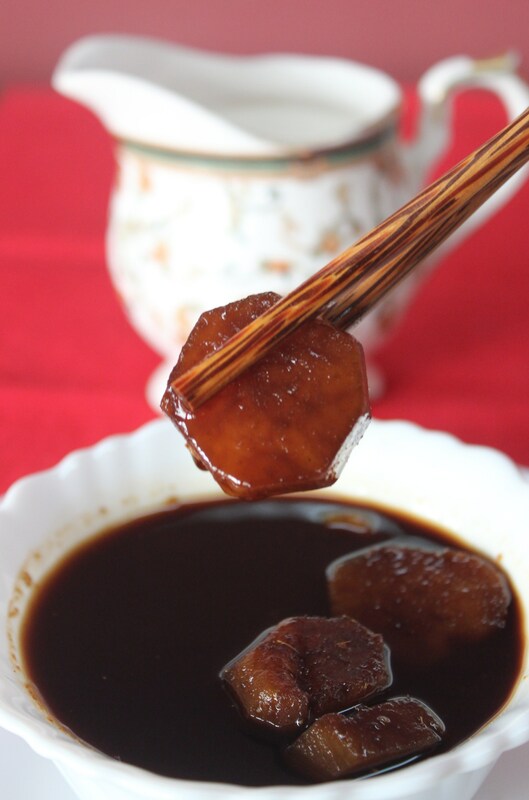 Cubed or Circled Sweet Potato pieces cooked in Palm Jaggery Syrup is a sweet coated with Divinity. No, it isn’t served for the Gods but the Divinity comes from its soaked flavor. 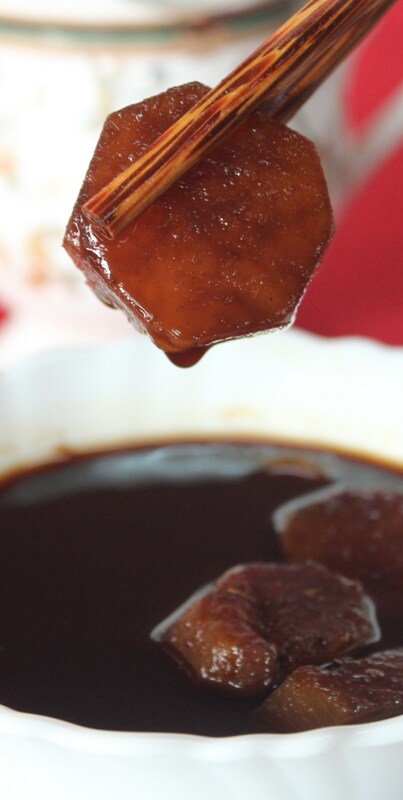 The naturally mildly sweet Sweet Potato dipped in the flavorful Palm Jaggery Syrup offers a unique aroma and taste different from the other well-known sweets of Tamilnadu. This might be termed as a healthy sweet as there is no frying involved. Why should we stick to Traditional Foods? the whole wheat breads of market that offer 50 % refined flour and still take the name ‘whole wheat’? the baked chips with loads of sodium that still claim to be 0% cholesterol? the high sugar/banned low sugar or honey filled granular bars that claim to be health snacks to start the day? the mostly refined ready to eat whole grain cereals that are sent through high heat to be moisture free for longer shelf life? and additionally, do you believe in the never-ending list of hazardous goodies that cheat us in the name of health food? If you don’t believe in the above, then I’d suggest you to try out the traditional recipes of each culture. – can be claimed fat-free, gluten-free, free from milk and milk products, no allergic nuts involved in making, no soy products and so on. 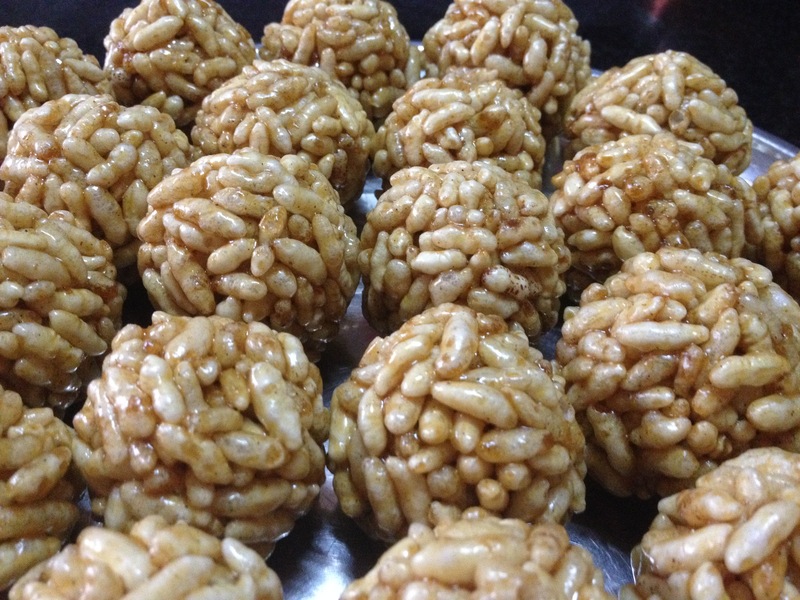 Fortunately, there is no claim of traditional sweets to be fat-free – no tagged promises. As there cannot be any food that could be completely fat-free/sugar-free/chemical free/ and to top the list – that is suitable for all. It is for the consumers to identify what suits their family, more importantly what suits their pocket and most importantly what suits their family’s health and well-being. But staying away from products that have higher shelf life and those beautifully arranged in the stores, could definitely be a healthier choice for the family, especially with growing children. This simple logic has made me believe and rely completely on traditional foods. They don’t stay longer – reason one, we lick the bowls to our heart’s content and then, they have no added preservatives to stay long and tempt us longer. They can be high in calories, high in sugar, high in cholesterol as analyzed by dietitians. But, they are at a comfort kitchen zone where the intolerant levels can be altered. 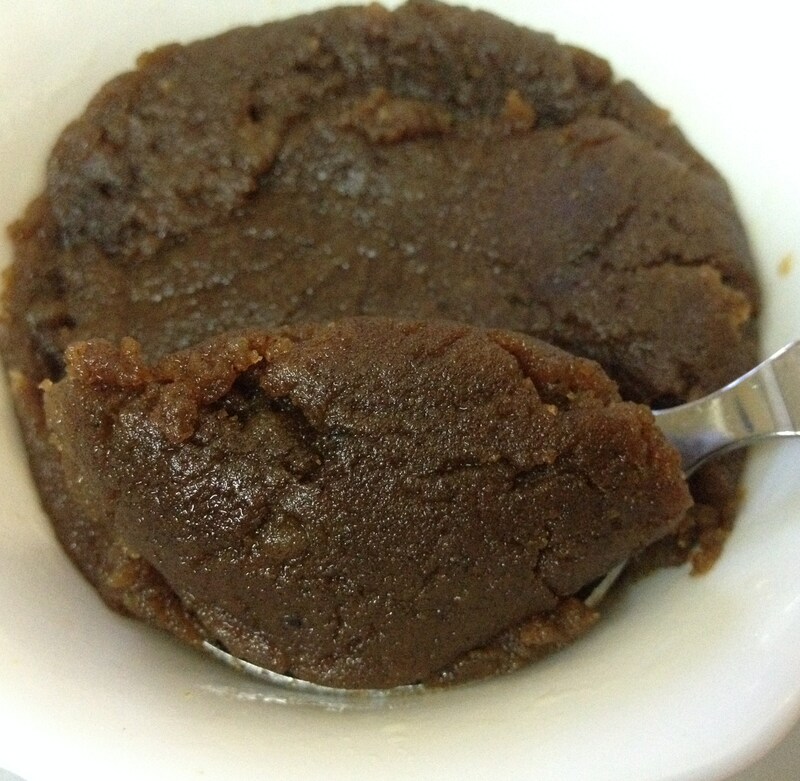 Hence, while one cannot alter the sugar content of sweet potatoes, feel free to alter the amount of Palm jaggery used in the recipe. 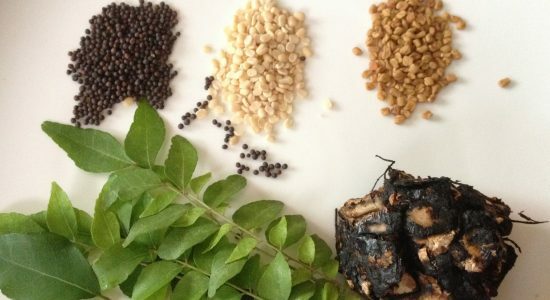 I am amazed by the connection of south East Asian cuisine with the cuisine of Tamilnadu. On our visit to Indonesia, I could taste the same Cheeni kizhangu karuppatti in Indonesia, but with the twist of taste with coconut milk. Yummy Treat! The same Sweet Potato in different parts of the world can be used in different ways. 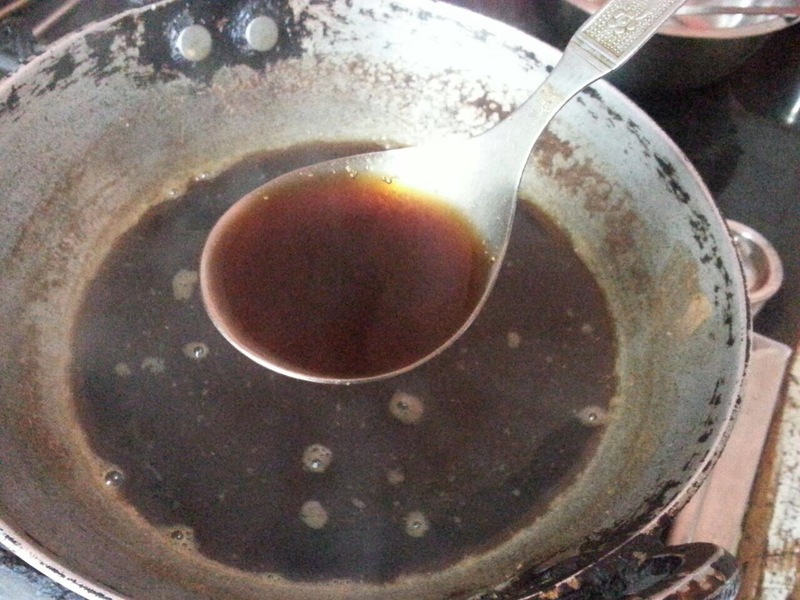 But the abundance of Palm and Palm Sugar and Coconut and Coconut Milk has given way to a number of common recipes among the different countries of South-East Asia, Srilanka and Southern India that share sea space. 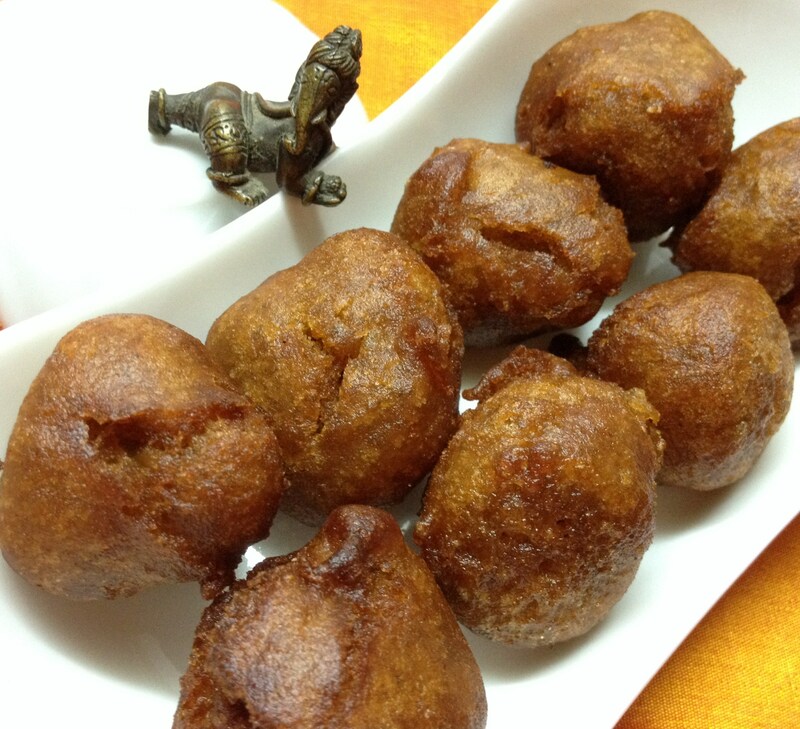 This cuisine connect is also a remarkable proof of the successful maritime trade between Tamilnadu and other South East Asian Countries extending till China, the give and take of several recipes twisted to local tastes. Here is the name of the delicacies with almost the same preparation. Please correct me for errors. 11. Enjoy this delicious sweet hot or cold. 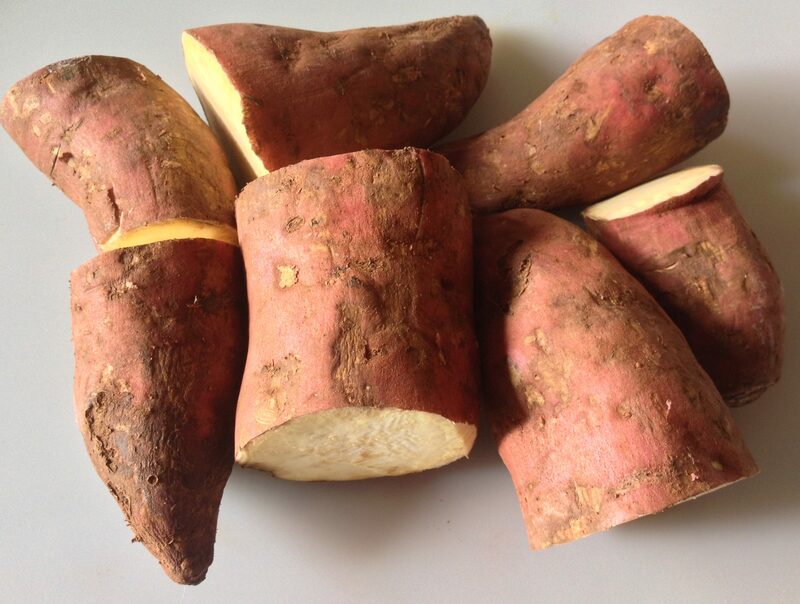 If you have access to different colored sweet potatoes, just indulge – do not worry about the color. 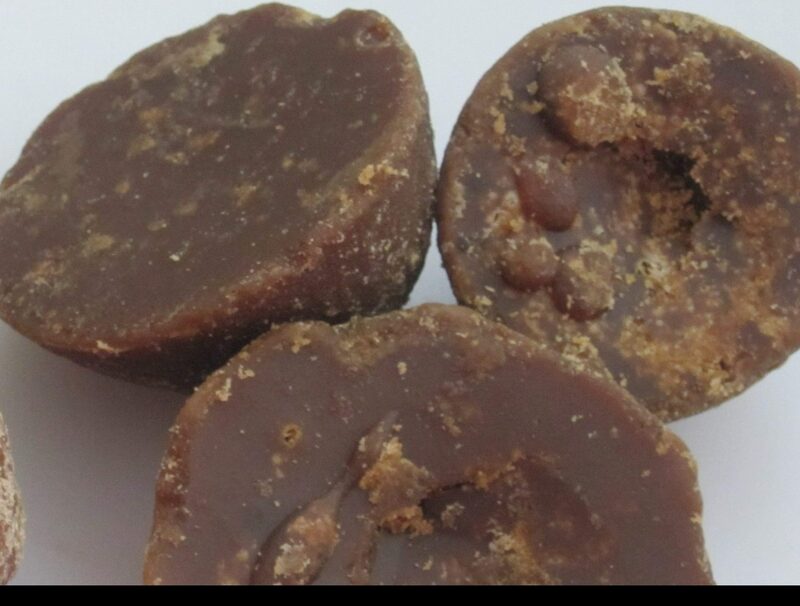 If there is no Palm jaggery available, try using powdered Palm sugar available in Thai markets, or use any unrefined cane sugar or jaggery. No white sugar here please.